Police say the number of people dead in the mass shooting at two mosques in Christchurch, New Zealand has risen to 50. Another 50 people were injured. Of those injured, 36 people are hospitalized, with two in critical condition. Maybe if we spent more time condemning racism we wouldn’t have to spend so much time condemning mass shootings. Some things need to ‘be judged’ and our fear of being ‘judgmental’ is killing us all. Just received word that Prof. Amos Kloner a long time and dear friend to many of us passed away. Funeral tomorrow in Modein at 3 PM. Amos Kloner is an archaeologist and professor emeritus in the Martin Szusz Department of the Land of Israel Studies at the Bar Ilan University in Ramat Gan, Israel, where he teaches Hellenistic, Roman and Byzantine archaeology. Kloner led the Israel Antiquities Authority’s excavation of the Talpiot Tomb in 1980. Tiny children to old folk… murdered by hate. Hate kills. Hate is evil. Evil people hate. Get a box of tissue before you click that link. The pictures will break your heart. 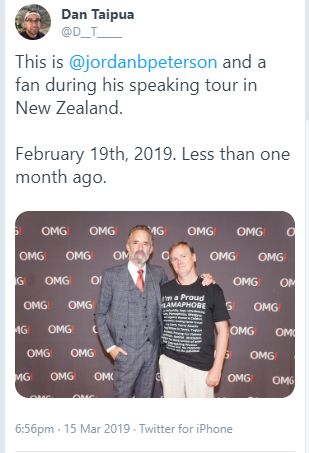 Decent people don’t agree to have their photo taken with people wearing ‘I’m a Proud Islamaphobe’ shirts. Jordan Peterson isn’t a decent person. You fans of his should have known that long before now. Die letzten Könige von Juda führen das Gottesvolk direkt ins Exil und in die Katastrophe der Zerstörung des Ersten Tempels. 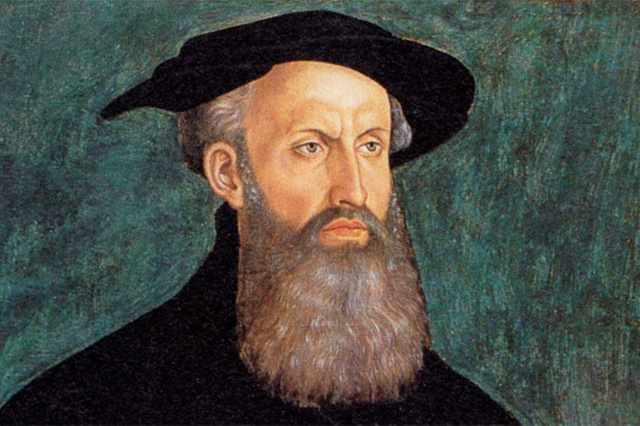 Wie dies geschieht, wer die Verantwortung trägt und welche Rolle Gott in diesem Drama spielt, sind die Fragen, denen Benedikt Collinet nachspürt. Die Könige sind nicht, wie die Erzählweise nahelegt, Hauptdarsteller des Dramas, sondern Antagonisten zu Gott. Dieser verwendet die Nachbarvölker und Babel als Strafwerkzeuge. Der Grund für die Strafen ist der systemisch gewordene Bundesbruch des Gottesvolkes. Die Bemessung der Strafen ist vertraglich geregelt (Dtn 28). Die Geschichte ist eine durchkomponierte Dekonstruktion der göttlichen Heilszusagen. Die Heilsgaben werden zurückgenommen, die Verheißungen aber bleiben intakt. Das Volk braucht einen Neuanfang, der in Anspielung auf den Exodus, einzig in der Begnadigung Jojachins angedeutet bzw. vorbereitet wird (2 Kön 25,27-30). This dissertation thesis deals with the ending of 2 Kings in recent literary studies. 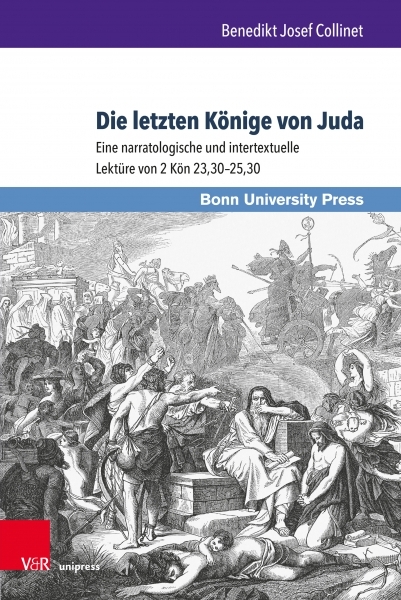 It asks what and how 2 Kgs 23:30–25:30 narrate the Fall of Jerusalem and the reign of Judah’s last kings with help of narrative analyses and intertextual references in special shape for Biblical texts. The focus is on the books of Gen to 2 Kgs. Before these two parts a discussion of the history of interpretation from ancient exegetes until recent studies is done. Not only Christian but also Jewish writers and commentaries were read so that an overall survey on the academic reception is given. A translation of the Hebrew text (mainly MT) combined with text critical comments on the OG version and Ant/Luc opens the interpretation on the text. The narrative analysis begins with time and space and deals afterwards with the characters in the intratextual (isolated) chapters 23:30–25:30. Open questions are answered in part D. The context helps to understand the story better, so the whole complex of what2Kgs 25 might be the end is used for an intertextual study. Lexematic work, word groups, names and motives get analysed to understand the literary and theological meaning of the text. Two very important questions are why and to what extent does the character »YHWH« judge and punishe his people so hard?What is the use of the last Kings of Judah? An important point, the study worked out, is the composed judgment and deconstruction of the kindgom in the people of YHWH. On the other hand YHWH strenghtens his salvation promises by keeping them and the Torah – even if this meens a curse for the people of Israel (Dtn 28). God is true to his people even if they fail, but when they fail salvation becomes curse. The kings of Judah have to show the peoples that YHWH is the one and only God in the world, because they got this mission for the whole people of God latest after the Fall of the Northern Kingdom. They were not able to fulfill their mission, so that injustice becomes systematic and YHWH makes himself to chose the ultima ratio to rescue a rest of his people. He punishes in the way of his contract (Dtn 28), because the people failed, esp. the kings (Dtn 17 vs. realtiy of 1.2 Kgs). All salvation gets lost, but the promises are still intact. In the end a new perspective for Israel in the HB/OT is looked for. Jehoiachin, so the thesis, is like Joseph (Gen 41) preparing the people for a new Exodus. He prepares, but he will never see it. An English translation of the thesis is planned. I couldn’t have said it better or more concisely. I can add, though, that the work is carefully written and it is utterly thorough in its presentation. No stone is left unturned, no issue left aside, no scholar ignored. The work is a virtual reception history of the passage under investigation. As such, it is an indispensable volume for students of the Deuteronomistic history. 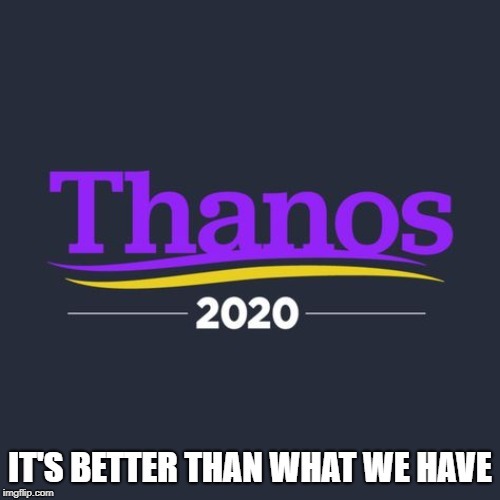 I cannot but recommend it. Annette Theis tweeted- “Ohne Sprachverständnis kein Verständnis von Texten, Bibel, Glaubensaussagen”. She’s 100% correct. 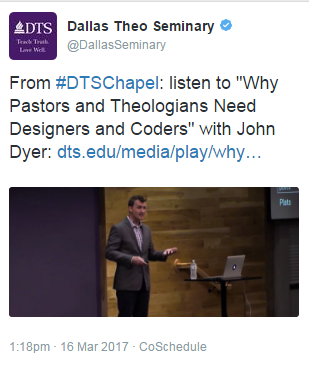 And it has to be said, additionally, that Pastors who don’t know the biblical languages are robbing their congregations of a fuller understanding of Scripture and Seminaries which don’t offer, if not require, the biblical languages are robbing Pastors and Churches of their right to comprehend the Bible. It should even be said that Churches should require their Pastors to know, or learn the Biblical languages as a requirement for employment. Yes, it’s that important. Yes, it’s that critical. No hospital would hire a physician who had no understanding of human anatomy. Exposition of the Bible requires, yes requires a thorough understanding of the languages in which it was written and no Church should tolerate a Pastor who has no grasp of those languages. Hebrew and Greek (and Aramaic) are the equivalent of anatomy for Biblical interpretation. If you don’t know the anatomy of Scripture, you will never be able to explain its meaning and application. The time for excuses is over. Take the time, and make the time, if you are a Pastor, to learn Hebrew and Greek (and learn them well). Lay off the gameboy and get to work. My child, if you aspire to serve the Lord, prepare yourself for an ordeal. Be sincere of heart, be steadfast, and do not be alarmed when disaster comes. Cling to him and do not leave him, so that you may be honoured at the end of your days. Whatever happens to you, accept it, and in the uncertainties of your humble state, be patient, since gold is tested in the fire, and the chosen in the furnace of humiliation. Trust him and he will uphold you, follow a straight path and hope in him. You who fear the Lord, wait for his mercy; do not turn aside, for fear you fall. You who fear the Lord, trust him, and you will not be robbed of your reward. You who fear the Lord, hope for those good gifts of his, everlasting joy and mercy. Look at the generations of old and see: whoever trusted in the Lord and was put to shame? Or whoever, steadfastly fearing him, was forsaken? Or whoever called to him and was ignored? For the Lord is compassionate and merciful, he forgives sins and saves in the time of distress.